FORT LAUDERDALE, Fla. (AP) — A hearing has been postponed on claims by a former security monitor who says he's being harassed by the father of one of 17 people who were killed in a Parkland, Florida, school shooting last year. FORT LAUDERDALE, Fla. (AP) — A former security monitor at a Florida school where 17 people were killed says he's being harassed by a victim's father. TAMARAC, Fla. (AP) — The parents of some victims of the Florida high school massacre protested Monday outside a furniture company whose CEO's support, they say, has helped prevent the firing of the local school superintendent. A Florida detective says the former deputy entrusted to protect a high school where 17 people died in a mass shooting gave an initial statement filled with inaccuracies about his actions. FORT LAUDERDALE, Fla. (AP) — Lawyers for Florida school shooting suspect Nikolas Cruz said Friday that his confidential medical records were improperly disclosed to a state investigative panel by someone in the Broward Sheriff's Office. FORT LAUDERDALE, Fla. (AP) — A hearing has been delayed on whether Florida school shooting suspect Nikolas Cruz should still be supervised by a corrections officer he's accused of assaulting. Cruz's lawyers want a judge to stop Cruz from being supervised by Sgt. Raymond Beltran. Cruz is segregated from other prisoners and is under close watch at the Broward County Jail. FORT LAUDERDALE, Fla. (AP) — Lawyers for Florida school shooting suspect Nikolas Cruz sought Tuesday to pry loose evidence for his defense from a state commission that investigated last year's Valentine's Day massacre at Marjory Stoneman Douglas High School. FORT LAUDERDALE, Fla. (AP) — Prosecutors pushed a judge Tuesday to set a trial date this fall for Nikolas Cruz in the 2018 Valentine's Day Florida school massacre that killed 17 people. A lengthy police report on the Florida school shooting says suspect Nikolas Cruz still had 188 live rounds when he abandoned his AR-15 rifle and blended in with students fleeing the carnage. FORT LAUDERDALE, Fla. (AP) — More than 50 teachers chanted "bring them back" outside Marjory Stoneman Douglas High School Tuesday morning, demanding the return of four administrators who were reassigned after a state commission's investigation of the shooting that killed 17 people on Valentine's Day. Defense lawyers are asking a judge to keep jail records about Parkland shooting suspect Nikolas Cruz's mental condition private. Broward County Public Schools released a statement Monday that three assistant principals and a security specialist at Marjory Stoneman Douglas High School staff members were being reassigned to other administrative locations. It didn't say why they were being reassigned. FORT LAUDERDALE, Fla. (AP) — Florida school shooting suspect Nikolas Cruz attacked a detention officer at the county jail and now faces new charges including use of the officer's electric stun device, authorities said Wednesday. Broward Sheriff's Office spokeswoman Veda Coleman-Wright said in an email Wednesday that Cruz assaulted Sgt. Raymond Beltran around 6 p.m. Tuesday. Commissioners investigating the causes of a massacre at a Florida school have heavily criticized the actions of the sheriff's deputy assigned to the campus, calling him a coward for not confronting the gunman. FORT LAUDERDALE, Fla. (AP) — Two students told investigators they reported the Florida high school shooting suspect to an administrator for making threats but felt they were not taken seriously, a commission investigating the massacre was told Tuesday. The SunSentinel reports Nikolas Cruz registered as a Republican on July 25. He's charged with 17 counts of first-degree murder and 17 counts of attempted murder for the Valentine's Day massacre at Marjory Stoneman Douglas High School in Parkland. PARKLAND, Fla. (AP) — Records released by prosecutors reveal that Florida school shooting suspect Nikolas Cruz trespassed on school grounds about six months before the massacre that left 17 dead. 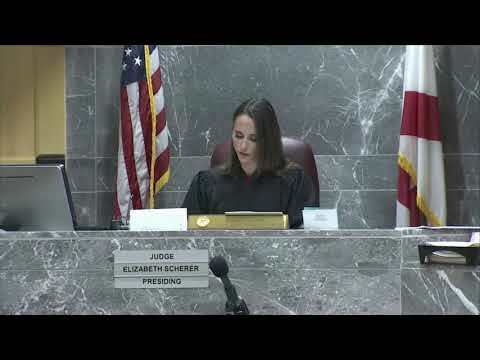 FORT LAUDERDALE, Fla. (AP) — Before she found herself presiding over one of the highest-profile cases in the country, Broward Circuit Judge Elizabeth Scherer did little to draw attention. Her rulings tended to be non-controversial. Appellate judges found fault with only two of her decisions — an impressively low number for someone who has been on the bench for six years. FORT LAUDERDALE, Fla. (AP) — A judge has branded a newspaper "shameful" for publishing educational material about Florida school shooting suspect Nikolas Cruz that was supposed to be kept private. But Broward Circuit Judge Elizabeth Scherer stopped short Wednesday of finding the South Florida Sun Sentinel in contempt of court. The county school board claims the newspaper violated court orders by publishing details about Cruz's educational background that were supposed to be redacted. FORT LAUDERDALE, Fla. (AP) — A Florida newspaper urged a judge Friday to reject a school board's effort to have it and two reporters held in contempt for publishing a story on the educational background of Parkland school shooting suspect Nikolas Cruz. FORT LAUDERDALE, Fla. (AP) — A Florida newspaper faced an ethical dilemma after a school district's mistake exposed details that were supposed to be redacted from its lengthy examination of the education of school shooting suspect Nikolas Cruz. FORT LAUDERDALE, Fla. (AP) — Florida school shooting suspect Nikolas Cruz told a detective that a demon in his head — "the evil side" — told him to burn, kill and destroy, and that he thought about going to a park to kill people about a week before 17 people were gunned down at the school, according to a recently released transcript of his interrogation. 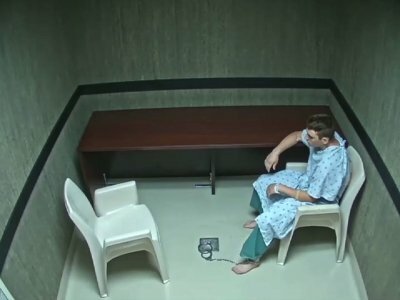 FORT LAUDERDALE, Fla. (AP) — Florida school shooting suspect Nikolas Cruz told a detective that a demon in his head — "the evil side" — told him to burn, kill and destroy, and that he thought about going to a park to kill people about a week before 17 people were gunned down at the school, according to a transcript of his interrogation released Monday. A newly released transcript shows Florida school shooting suspect Nikolas Cruz told detectives he bought the gun allegedly used in the Parkland attack a year or two earlier because he was afraid of demons and voices in his head. FORT LAUDERDALE, Fla. (AP) — Much of the hourslong statement given by Florida school shooting suspect Nikolas Cruz to investigators just after the Valentine's Day massacre that killed 17 people should be publicly released, a judge ruled Thursday. FORT LAUDERDALE, Fla. (AP) — Media organizations asked a judge Monday to order public release of much of Florida school shooting suspect Nikolas Cruz's statement to investigators after the Valentine's Day massacre that killed 17 people.